S.A.Y. Detroit Play Center has officially opened! After a full year of construction, countless hours of labor, and the love and support from neighboring communities, the S.A.Y. Detroit Play Center is open! 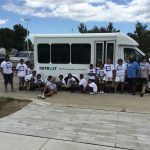 What was once just an idea on paper is now a fully functioning recreation center for the children and young adults of Detroit. 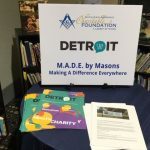 The focus of the S.A.Y. Detroit Play Center is to improve the academic performance of students in the Detroit community. From reading tutors to ACT and SAT prep classes, S.A.Y. Play wants to make sure every child and teen has an opportunity to get the most out of their education. Students that strive to maintain a 3.0 GPA, study for one hour a week in The DEEP (the Digital Educational Enrichment Program), miss no more than three school days per semester, set and achieve academic and personal goals will be able to use this facility to it’s fullest. 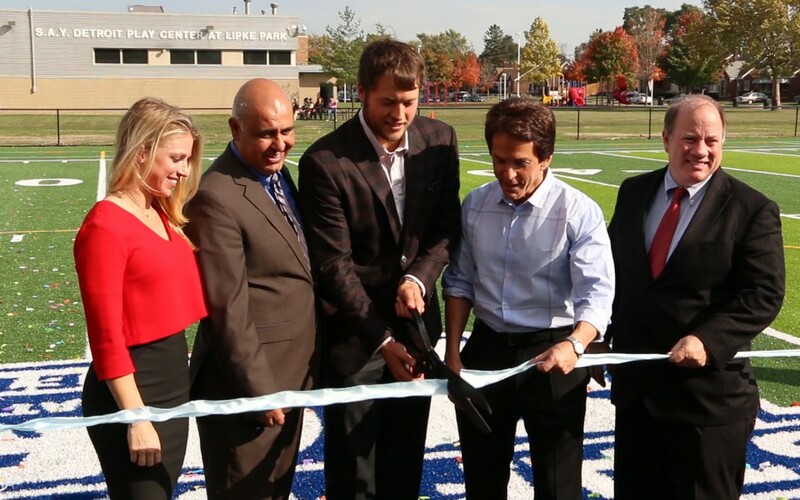 Everything from the state of the art music recording studio, to the professional football field donated by Detroit Lions quaterback Matthew Stafford will be available for students to utilize. The grand opening ceremony featured a special cheer performance by the Detroit Cardinals cheerleaders and the Osborne High School cheerleaders. 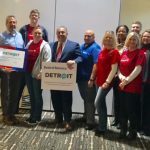 Everyone in attendance including Chad Audi, Executive Officer of the Detroit Rescue Mission, Tom Lewand, President of the Detroit Lions and City of Detroit Mayor Mike Duggan, were blown away by the transformation of the S.A.Y. Play Center. Many aspects of the facility were generously donated by partner organizations or local businesses that fully support the center’s mission. S.A.Y. Play is part of the larger S.A.Y. Detroit Charity which was established to help Detroit’s neediest citizens. The time and energy put in to rebuilding this facility is present in every brick, in every corner, on every floor in every room. The faculty members and volunteers can’t wait to meet and get to know the future students of the S.A.Y. Detroit Play Center.